Catherine Foster is a New Zealand based freelance writer who has previously published a number of books including Small House Living (2015), Apartment Living New Zealand (2017) and Small House Living Australia (2017). Catherine’s driving force is a belief in consuming the finite resources of Planet Earth responsibly and she sees the harnessing of architectural design principles to build smaller and smarter homes as an obvious strategy. She also embraces a philosophy which expects that the application of good design principles can produce outcomes which address specific social needs. 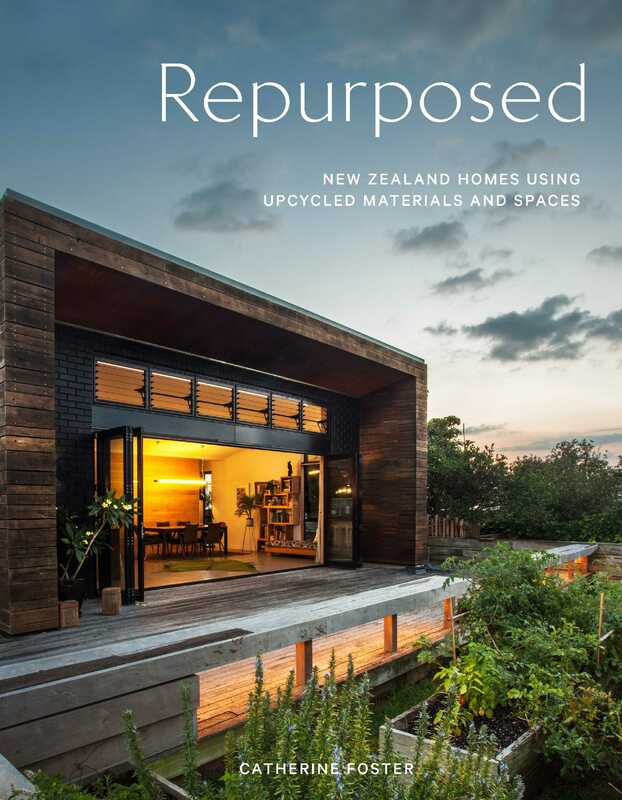 Her latest work “Repurposed – New Zealand Homes using Upcycled Materials and Spaces” was recently released by Penguin Random House New Zealand (ISBN 9780143771746). The book focuses on twenty inspiring homes throughout New Zealand which have utilised recycled and upcycled materials, structures, spaces and furnishings. The featured homes are located in Lyttelton, Auckland, Wellington, Mahurangi, Cambridge, Cromwell, Christchurch, Queenstown, Hawke's Bay, Coromandel and Rangiora. In the course of a discussion with Catherine, she made mention of how problematic it can be in New Zealand in terms of satisfying demanding building code requirements when it comes to incorporating recycled building materials. That being the case, she is much impressed with the determination and grit of the various people who were responsible for the projects described in her book. The book is arranged in two sections, the first relating to Spaces and the second to Materials. The genre of each of the book’s subjects are diverse and each carries a descriptive narrative together with impressive photographic images. Designers: Justin Marler & Fleur Palmer. Photographer: Daniel Dixon. Architect: Graeme Burgess. Designer: Ian Hughes. Photographer: Daniel Dixon. Designer: James McNaught. Photographer: Rachael Hale McKenna. Architect: Tony Koia. Photographer: Jamie Cobel. Designers: Sally Nash & Murray Grossmith. Photographer: Daniel Dixon. Architect: Natasha Markham. Photographer: Daniel Dixon. Designer: Ross Stevens. Photographer: Agnes Fecher. Designers: Peta & Joe Davy. Photographer: Daniel Dixon. Designer: Jason Higham. Photographer: Stephen Goodenough.